At Fowler St. Clair we focus on building trust. This is what the estate planning attorneys at Fowler St. Clair focus on every day. We know that building wealth is complicated. We also understand that managing and protecting wealth is even harder. Making wealth endure requires a knowledgeable and experienced team with a solid understanding of finance, law, family, and relationships. Our estate planning attorneys can help you make a solid plan for the future. We help you plan ahead for the protection and distribution of your assets so that your family can continue just as you have planned. When a loved one dies, relatives can often find themselves at odds with each other. Very few people enjoy the prospect or process of planning for their own death. Only the most discerning and forward-thinking individuals do this work. And they do it while they are in good health and of sound mind. Unfortunately, more than 60% of Americans don’t have a will. Most people simply don’t like thinking about their mortality. We encourage people of all ages to consider the benefits of starting now to plan for their future by creating a will and starting an estate plan. 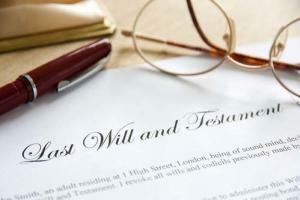 Dying “intestate” or without a will puts your family and your assets at risk. Without a plan, the laws of the state of your residence will determine the distribution of your assets, which do not always reflect your exact wishes. Generally, if you are a married person with children, your spouse and then your children will inherit all that you have. If you are single and have no children, the intestate succession laws of the state will make asset determinations. 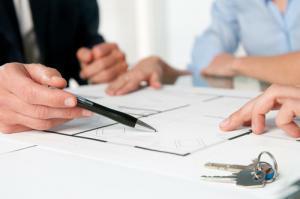 The state will decide which relatives will inherit your property and assets. If you do not have a living spouse but have minor children, state law will determine the guardianship of your children. But probably the greatest disadvantage for everyone involved is that your estate will go through the process of probate. Probate is a lengthy and costly process where the courts review, evaluate and decide what happens to your hard-earned assets. If you have worked hard and accumulate assets of more than $250,000 you may want to consider establishing a trust. This is where having a team experienced in estate planning can be so helpful. By building lasting relationships, Fowler St. Clair is more than just a firm that helps clients manage wealth. We help manage peace of mind. Whether simply requiring a will to protect assets for the next generation or creating a comprehensive estate plan, Fowler St. Clair is here to win your trust in partnering with you on such a lifelong journey. Following are more details about the services and benefits we provide our estate planning clients. A Revocable Living Trust offers many elements that can give you a peace of mind. In the event that an asset is overlooked from being included in the trust, this tool ensures the asset is distributed according to your wishes. This ensures that all property is transferred to the chosen beneficiaries. This grants your specified agent the ability to make important financial decisions on your behalf if you are incapable of doing so on your own. Business Succession Plans utilizing Limited Liability Companies (LLC), Operating Agreements and Trusts which can be streamline the passage of business assets. Creation of LLC for any real estate assets to shield the trust from any potential liability associated with those assets. As you can see, at Fowler St. Clair we know how to help our clients preserve and protect their assets. We partner with clients so that their legacy continues. We help clients ensure their wealth benefits family and business associates for generations to come. We help build trust and the future. We have more articles related to Estate Planning on our blog.